As huge Pinback fans, we were thrilled to learn about Systems Officer, the solo venture from Pinback founder and multi-instrumentalist Armistead Burwell Smith IV. Cut to late summer 2011 and Smith’s hopes have turned into realities. 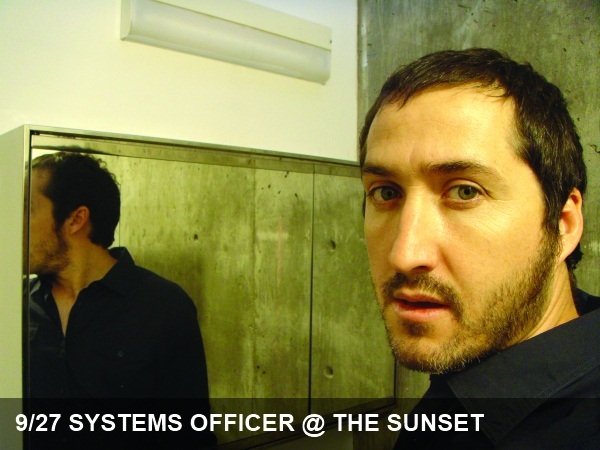 Now more than just an on-again off-again project, Systems Officer has turned into a band with members (including current and former Pinback players Chris Prescott and Kenseth Thibideau) and a West Coast tour schedule. If you’re a fan of Smith’s understated-sounding, yet-incredibly-intricate melodically moody pop masterpieces, head to the Sunset to take in the live experience for yourself.